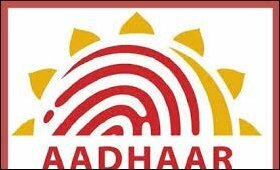 The government on Tuesday proposed to make Aadhaar Card mandatory for filing income tax returns and also applying for a Permanent Account Number (PAN). The proposal was made through an amendment to the Finance Bill 2017 moved by Finance Minister Arun Jaitley in the Lok Sabha. Besides being necessary for filing an income tax return, any application for an income tax PAN will also have to state the applicant's Aadhaar or 12-digit unique ID which is backed by biometrics like finger prints and iris scans. Moving the Bill, Jaitley spoke in defence of amendments made to 40 acts which had been criticised by opposition members of the house on a point of order. He said if a substantial portion of a bill deals with imposition or abolition of tax, then even if it has other incidental provisions, it can still be introduced as a Money Bill. A Finance Bill is ordinarily introduced to give effect to the financial proposals of the government for the next financial year.